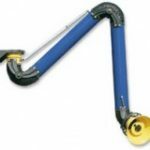 Eurovac’s self-locking arms provide the most economical and effective methods for the capture of fumes. Contaminants are removed at their source. 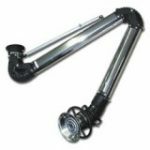 The use of self-supporting joints, flexible hoses, and smooth bore tubing allow for easy placement of the arm’s hood near the source of a problem.